Saturday, March 23rd, 2019 - 10:00 A.M. to 6:00 P.M.
Sunday, March 24th, 2019 - 12:00 P.M. to 4:00 P.M. 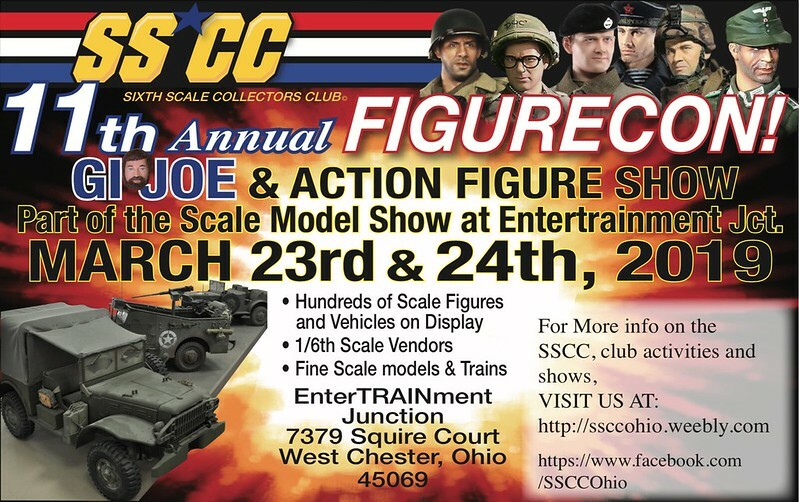 The Sixth Scale Collectors Club's 11th Annual FIGURECON featuring TONS of 1:6th scale figures, vehicles, displays, and dioramas of all eras and subjects as well as vendors carrying all sorts of 1:6th scale goodness! 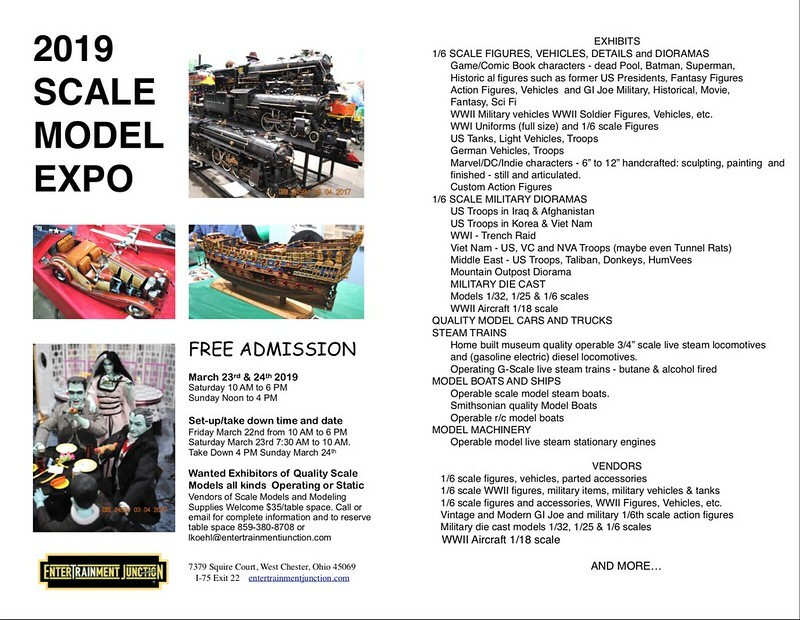 This is part of Entertrainment Junction's 10th Annual Scale Model expo featuring model boats, planes, and trains - and all in the same building as the world's largest indoor G-scale train layout! Admission and parking are free for the FIGURECON and Scale Model Expo. Concessions and a hobby shop are also on-site. Bring the whole family for two days of scale greatness! War-Toys – Show special online coupon code: 15% off purchases of $50.00 or more from War-Toys.com from Saturday, March 23rd through Monday, March 25th. The code will ONLY be given out in person at the show! Last edited by Panzercommander HOH; 03-22-2019 at 07:16 AM. Reason: ONE WEEK! Can someone recommend a good Hotel near the Venue. Ken...PM me and I'll let you know wht we are going to do about lodging. Need to know type of room and number of occupants plus how many nights/\. 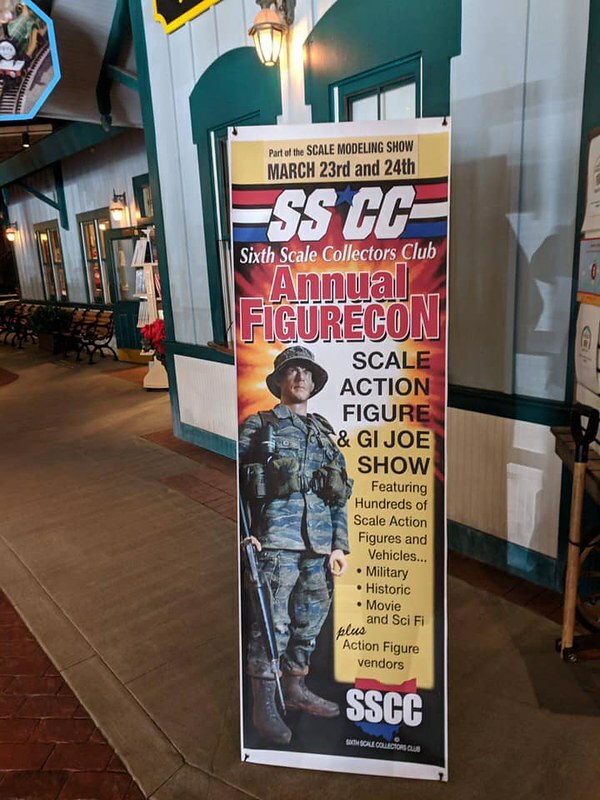 THE FIGURECON SIGN IS UP AT ENTERTRAINMENT JUCTION! Very nice to see the sign up. Getting excited! I'll be there and either have my oldest again, or I'm pretty sure Mike wants to go, since he missed last year. Can't wait to see everything again. Schoenberg, it's actually not very far from Kings Island - so there's a pretty good variety of accomodations & plenty of places to eat, ranging in avg. price to some higher end restaurants. Will be great to see you and Mike again, Ben! Glad you guys are making the trip over! Photos from the show are now up!